Kate McCue has become the first American female captain in the cruise industry, taking the helm of Celebrity Cruises’ Celebrity Summit. A graduate of California State University’s California Maritime Academy, the 37 year-old from San Francisco will captain the 91,000 gross ton cruise ship on itineraries sailing between the eastern United States and Bermuda. Most recently she was a Master Mariner with Royal Caribbean International. As a captain she will be responsible for the safe navigation of the ship and the on-board experience of its 2,158 guests and 952 crew members. McCue has 15 years of experience in the maritime industry, managing ship logistics while sailing worldwide itineraries, including Europe, Asia, Australia, the Caribbean, the Pacific Northwest and Alaska, and along the Panama Canal. She also served as a maritime leader while sailing several transatlantic and repositioning cruises. This appointment is the latest in Celebrity Cruises’ aim of advancing the role of women in leadership. In January 2014 Jo Rzymowska became the UK Managing Director for the cruise line and in December 2014 Lisa Lutoff-Perlo was named President and CEO of Celebrity Cruises. 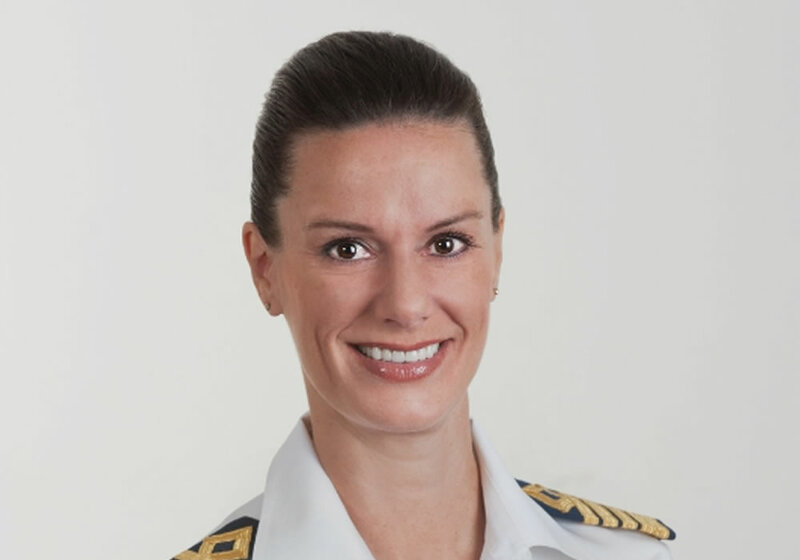 Captain Kate McCue will begin her new role on Celebrity Summit in August 2015. There have been several female captains appointed in recent years. In May 2007 Royal Caribbean International appointed Karin Stahre-Janson as its first female captain. In April 2010 Sarah Breton became the first female captain of a cruise ship in Britain for P&O Cruises, and later in December Cunard appointed Inger Klein Olsen as captain of Queen Victoria.